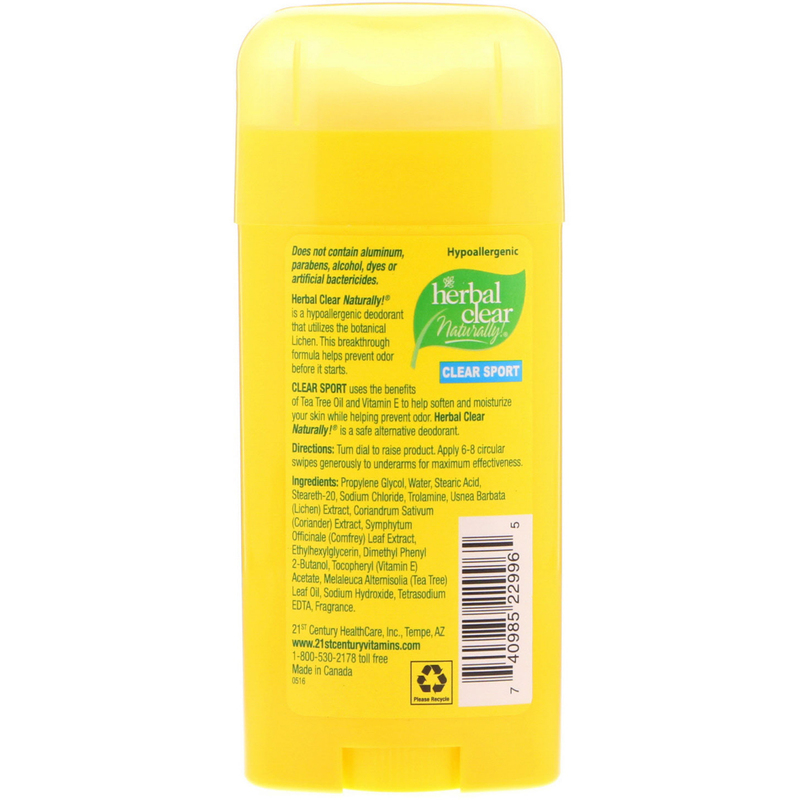 Herbal Clear Naturally! is hypoallergenic, deodorant that utilizes the botanical Lichen. This breakthrough formula helps prevent odor before it starts! Clear Sport uses the benefits of Tea Tree Oil and Vitamin E to help soften and moisturize your skin while helping prevent odor. Herbal clear Naturally! 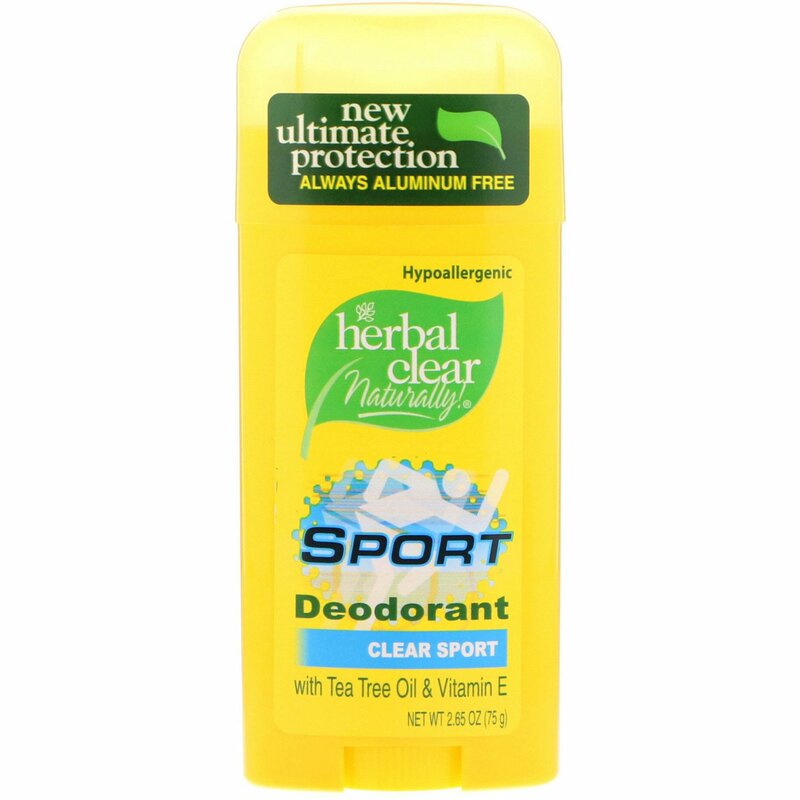 is safe alternative deodorant. Turn dial to raise product. Apply 6-8 circular swipes generously to underarms for maximum effectiveness. Propylene glycol, water, stearic acid, steareth-20, sodium chloride, trolamine, usnea barbata (lichen) extract, coriandrum sativum (coriander) extract, symphytum officinale (comfrey) leaf extract, ethylhexylglycerin, dimethyl phenyl 2-butanol, tocopheryl (vitamin E) acetate, melaleuca alternifolia (tea tree) leaf oil, sodium hydroxide, tetrasodium EDTA, fragrance. Does not contain aluminum, parabens, alcohol, dyes or artificial bactericides!